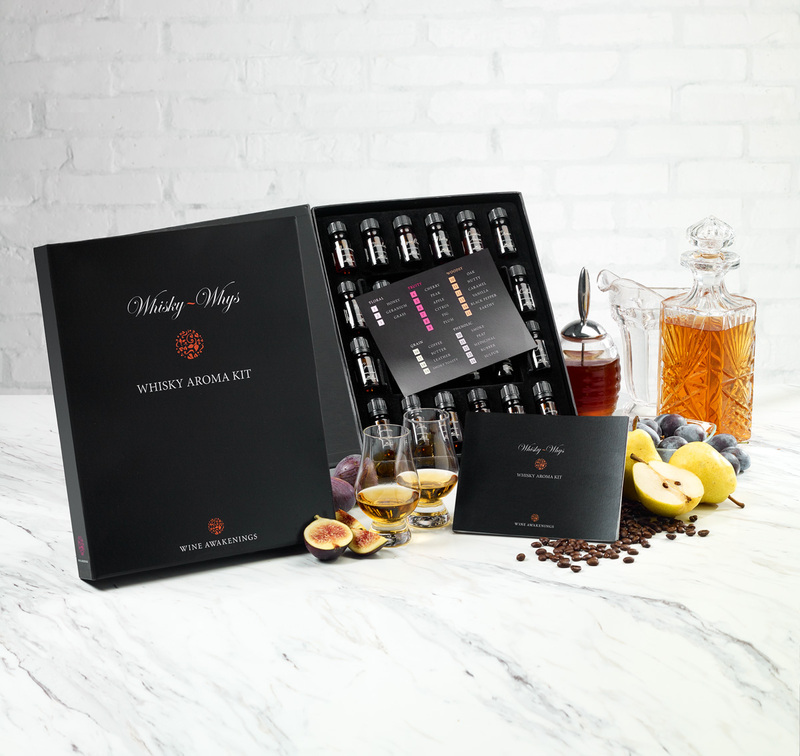 WHISKY WHYS KIT BY WINE AWAKENINGS – A SENSORY EXPERIENCE FOR ALL LOVERS OF WHISKY/SCOTCH – For the past fifteen years, we have developed an expertise of aromatic science, beginning with wine. When this expertise is married to spirits, namely to the art of Whisky appreciation, all roads led to an obvious partnership developed between our company and the wealth of knowledge we found that had been authored and published by the world renowned whisky expert—Michael Jackson. 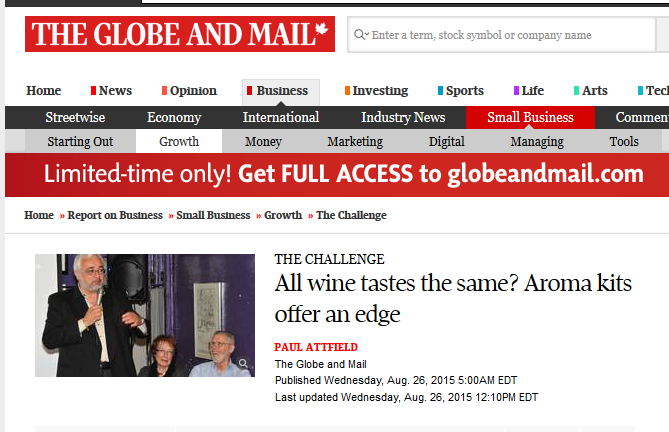 Article on Entrepreneur about what to get the wine lover in your life…Featuring Wine Awakenings Kits! It’s been a while since our last post. We’ve been up to a lot but here is our most recent exciting news. Thank you to all those that sent me their heartfelt comments about my last blog (The Centerpiece of Italian Culture…) I’m glad that you enjoyed it but it’s particularly pleasing to me that the piece actually awakened some pleasant family memories for some of you. It did for me too. Someone asked me, recently, why or how I ended up (sort of) in the wine business after a few-decades -long career in the corporate world…a career in an industry that could not possibly be further away from wine. The answer is: I don’t know. Fate, I guess. Even after being in it for the better part of 30 years, the Marketing world still has many surprises for me because it is forever evolving and morphing. With the massive swing to web buying, large surface stores are shifting their millions of marketing dollars away from their brick and mortar operations and into cyber space where their customers are spending an increasing amount of their hard earned cash. But with all the convenience, flexibility, and speed that comes with cyber shopping, consumers are sacrificing the “intimacy” of buying…in other words, the personal touch of real and “touchy” customer service. Because of this phenomenon, many consumer behaviour experts have outlines an interesting opportunity for companies that are still able to offer (and surprise) their target customers with the soothing “personal touch”. Very simply, they point out that because consumers are “starved” and nostalgic for this “touchy” attention and personal customer service, a rapidly increasing number of consumers value this aspect beyond anything else when making a purchasing decision.